The elastic travel of a binding is the single most important aspect of a ski binding’s ability to retain or release a skier from the ski. Elastic travel is the amount of distance a binding can move before the boot clears (i.e., “releases from”) a binding. So, for example, if a binding has a 38mm elastic travel value, it can move 37mm and still retain the boot. In a 20mm travel binding, you can only move 19mm before your boot will release from the binding. The weight of the binding spring will control how much work it takes to displace the binding a given distance. For example, if you have a 200 pounds-per-inch spring, it would require 200 pounds of force to compress the spring 1 inch, or 25.4mm. You can then further tune the binding’s functionality by adjusting the “Release Value” of the binding—i.e. adjusting your binding up from a setting of, say, 8 to 10. The release value of a binding is a measurement of the amount of “spring preload”—the amount of force required to move the binding initially. Adjusting the spring preload does not affect how firm a spring is through its travel. The spring constant (lets say 200 pounds per inch) is exactly that—a constant for a spring. So adding preload—e.g., cranking your bindings up from 8 to 12—simply means that the spring requires a higher force to initially compress it. It does not mean that the spring itself just got 50% stiffer. In a binding with low elasticity, one must run a higher release value to compensate for the short release action of the binding to prevent unwanted release. By running a high release value on a low-elasticity binding, you are simply preventing the binding from entering its motion as naturally. Doing this will certainly help to keep you in the binding, but it also introduces a higher likelihood of injury. In other words, cranking up the release value on a low-elasticity binding is a pretty sketchy fix. 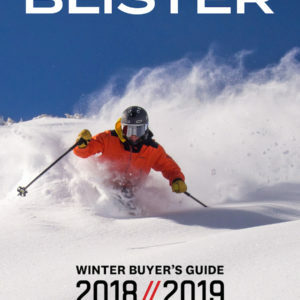 A highly elastic binding allows a skier to use the binding at a lower release value, since they are relying on the travel (i.e., elasticity) in the binding to prevent unwanted release. There is then less need to jack up the preload tension, because more elastic travel can occur, increasing the skier’s ability to recover from an awkward situation before (pre-)releasing. 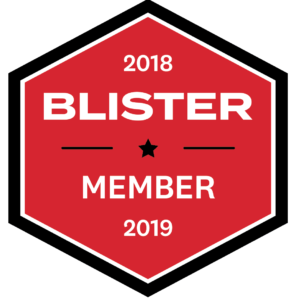 This promotes controlled support for recovery through the range of motion of the binding’s elastic travel, but also promotes a smooth release that is unimpeded by an overly firm initial resistance. In a perfect world, then, one would ski a relatively heavily sprung binding with a minimal release value setting, with maximum elastic travel. This enhances the binding’s ability not only to release the skier from its hold, but also to retain a skier if recovery is possible. Traditional tech bindings such as the Dynafit Radical or Dynafit Vertical function very differently than alpine race-heritage bindings, and this difference is apparent on-snow. Most tech bindings utilize a rigid connection between the toe piece of the binding and the boot tip. Since the toe piece only has a few millimeters of elasticity (it doesn’t house a release spring), it can only tolerate a few millimeters of travel before release occurs. And since this inelastic connection between the boot and binding is also a metal-on-metal connection, tech binding toe pieces tend to transmit a massive amount of feedback to the skier. The toe of a typical tech binding is analogous to riding a fully rigid mountain bike frame: there is no elastic travel to absorb feedback, it offers no controlled support, it doesn’t smooth the ride. An alpine race-heritage binding has a lateral spring in its toe that controls the motion of the boot relative to the binding/ski, with the boot gliding across an anti-friction device (AFD). In this way the toe of an alpine binding is analogous to a mountain bike with a front shock. The binding offers a much smoother ride without sacrificing any control over the shovel of the ski. 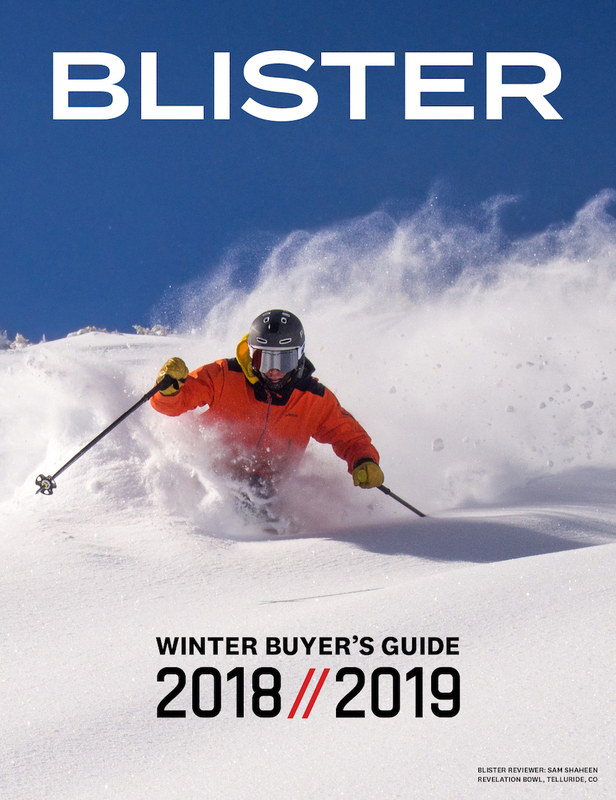 To combat the negligible lateral elastic value in a typical tech binding, many people opt to ski with the toe locked out, or the heel release value cranked far higher than they would on an alpine binding. Either practice artificially inhibits the binding from releasing per the manufacturer’s intentions. An alpine binding’s heel piece exerts both forward pressure and downward pressure into the heel of the boot. All alpine bindings have vector forces in both forward and downward directions, even if they are not independently adjustable (e.g. Rossi FKS). The downward pressure in an alpine binding controls the release of the boot from the binding in a forward fall. This downward pressure prevents either upward or downward free play of the boot relative to the binding and ski by constantly pressing the boot tightly into the binding and brake assembly. The forward pressure in an alpine binding manages the pressure of your boot into the toe piece of the binding and allows the heel piece to clear out of the way when you have a twisting fall. It also maintains a controlled connection between the boot, binding, and tail of the ski when the ski becomes deeply flexed. These two forces combine to remove lateral and horizontal free play in the boot and binding system by keeping them under tension—not to mention the obvious safety release functionality. To use the mountain bike analogy again: an alpine heel piece is the equivalent of adding rear suspension to your bike. A tech binding only has spring resistance against upward boot motion. In order for the binding to release vertically, you have to overcome the retention spring by opening the two pins enough for the fitting on the heel of the boot to clear them and release. There is not any downward tension or forward tension present in a tech binding at the heel piece. There is a 5.5mm gap between the heel fitting of the boot and the binding itself. When downward pressure is applied to the heel of the boot, the pins simply slide deeper into the heel fitting and close the gap between the boot and the binding. This free play prevents a skier from accessing the the tail of the ski, and creates a vague and disconnected sensation compared to how an alpine binding feels and behaves. To compound this issue, the part fit between the pins of the binding and the tech fitting of the boot are imperfect. Since these parts are not held under spring tension, the pins and heel fittings can freely move relative to one another. This creates a further disconnect between skier and ski relative to a conventional alpine binding. On the workbench, you can twist the heel of the boot with the ski held flat and see the boot heel and pins moving relative to one another. To finish the mountain bike analogy: a traditional tech binding effectively functions like a fully rigid mountain bike with a flat rear tire squirming all over the place. Conversely, an alpine binding functions like a finely tuned, full-suspension trail slayer: smooth, controlled motion on both ends. NEXT PAGE: So What Does This All Mean On-Snow? Excellent article – returning from the side country, I took a nasty inbounds fall at mach speed on hard pack last winter in my Dynafit bindings. For weeks I couldn’t get over how a) easily my binding released b) how easily my knee was tweaked (I rode the patrol sled down the mountain for the first time.) My question is about other rando/AT binding such as the Marker Duke’s and this article. 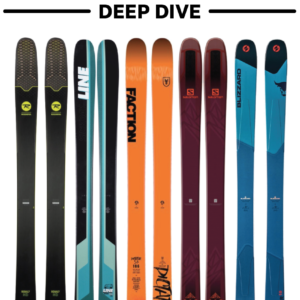 The Duke’s are my inbound binding of choice (I have swappable binding plates) but are they analogous to the classic alpine bindings and their release characteristics or is their a third option (not tech, not classic alpine) not mentioned in the article? Late answer and maybe known facts already?! 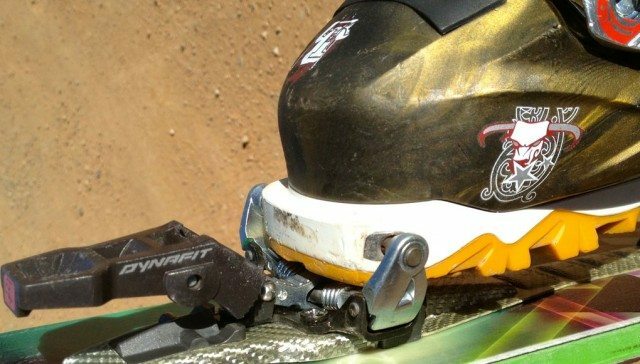 Excellent article that helps to clear up some long held misconceptions about bindings. Question for you though, at what level in the DIN range do you think a heavier spring binding becomes necessary, assuming the binding is reasonably well designed w decent elastic travel? For example at a DIN of 10 is a binding such as a Marker Baron acceptable or would you think it necessary to upgrade to the Duke. Ignoring any structural differences such as metal vs plastic, etc. basic engineering principles dictate that as you increase preload on a spring (i.e. add din). you are making it harder to move INITIALLY. the spring rate (k) is a constant. generally if you need or want more than 1-2 turns of preload on a spring, you would be better off swapping to a higher stiffness spring. my hypothesis is that making a boot harder to move initially in the bindings travel makes it more likely to cause injury. DIN means is that it takes the same amount of force to release. it does not account for the spring stiffness and the amount of travel in the release… higher spring stiffness + more travel = less preload needed = smoother initial travel of the binding = less likely to injure oneself. one should not be married to a DIN value. every binding is different. there are a few variables: spring stiffness (k), spring preload (p) and elasticity/travel (d). i personally ski at a 13.5 on a marker duke, but a 12 on a salomon 920 (12-20 range), and have equal ability to retain in the binding, but more faith in the 920 not hurting me since the motion is so much smoother. The article implies that tech bindings do not offer the same level of safety as a standard alpine binding, but it seems to assume that tech bindings also will be run as a higher release value. What do you think of the relative safety of both systems if they are adjusted at similar and conservative release values? 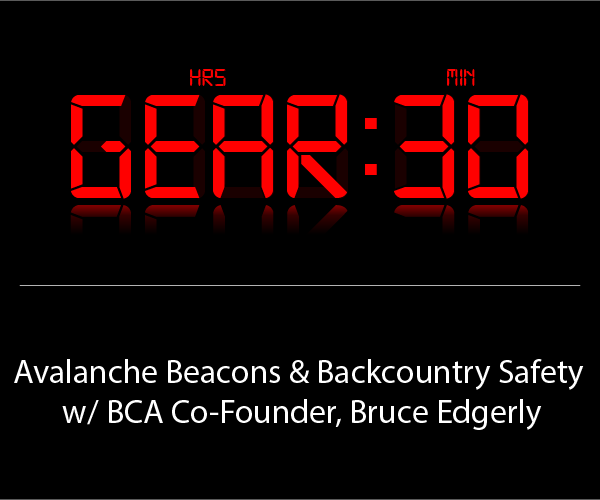 Will the safety of the tech system be relatively close to an alpine binding and primarily compromise ski retention and control? You note that forward pressure ‘allows the heel piece to clear out of the way when you have a twisting fall’. Does this apply to both alpine and tech bindings? Several of the new systems like the G3 Ion are starting to offer systems similar to forward pressure but the main advantages highlighted by G3 seem to be better ski retention in situations where the ski is flexed dramatically. a binding’s ability to “retain or release” is described from a physics standpoint as “work done”. this is proportional to Force x Distance. Tech bindings have significantly less elasticity (i.e. less distance), so for comparable work done (i.e. equivalent release values) on the release, you need significantly more force in the spring (i.e. heavier spring), so the spring is much harder to move initially,and this is why inures are more likely. forward and more specifically downward pressure on the heel makes the ski feel more contacted and less vague while skiing. traditional pin heels only have upward resistance, so there is control if you are doing a bunch of nose-butters, but the ski moves relative the boot with n control when bending, loading, and driving a ski on firm snow. The pins just slide around in the recess of the boot. The pre-load idea is a little misleading. Consider a 4 inch spring with a 200 lb/inch spring rate. You need 200 pounds of force to compress it by an inch, and 400 pounds of force to compress it by 2 inches. Now if you preload the spring by compressing it an inch, it will still take 400 pounds of force to compress it another inch. By preloading the spring, you are effectively increasing the spring rate. Spring rate is the slope of a Spring curve, let’s assume an ideal spring and -kx (hooke’s law) applies. A softer spring with lots of preload keeps the same slope (k value) as if it had no preload, but is harder to move initially because you are overcoming the preload displacement (restorative force), and the spring rate. Or to put it another way, preload is simply shifting where on the x axis along the spring curve the motion is starting. You go from 1600lb of spring potential to 1200lb due to going for 4″ useable to 3″ useable spring travel with a 400lb spring rate. But you still have to overcome the stored potential energy created by the preload to move the spring initially. I think that your model assumes that no matter what setting, the elastic travel in binding will always reach maximum compression of the spring. In stating that you only shift the start of motion on the X axis, you may be ignoring that the end of motion before release may be shifted as well. To demonstrate the idea, let’s say that there is limit of elastic travel length that is shorter than the spring. In other words that the releasing part of binding traveled to position where it no longer fixes the boot in the binding, while the spring was not yet fully compressed. By pre-loading the longer spring, you would use different section of the X-axis e.g. instead of 50-150 lbs you would use 100-200 lbs on spring that goes from 0 to 250 lbs before reaching it’s designed range of motion. Now the manual on my Marker TC14 binding say that only ranges up to DIN10 are according to DIN norm and anything higher is on own risk. It might be, that at DIN 10 is like reaching 150-250lbs and any further preload would decrease the range of motion (like 200-250lbs). Please note that I do not speak from point of authority or certainty. This is just combination of logical deduction of what was posted here and intuition. But I think it still may provide some value. Also note that example values in lbs are arbitrary just to show general principle on some kind of example. hi jan, i am sorry but i don’t follow. i am talking about stored kinetic energy within the spring. this is defined as the surface area under the curve, or the integral of the spring rate — high school newtonian physics. at the origin, there is no preload, and no stored energy. the more preload, the further along the spring curve, and the more surface area under the curve, so the more stored energy you need to move against. one can do thought experiments with a mountain bike — consider a 8″ and a 4″ travel bike. if they are the same spring rate, you would need way more preload on the 4″ bike to not bottom out. or you would need a way higher spring rate on the 4″ travel bike to have the same useable travel. the 8″ bike will be far smoother through its travel either way. one can also have an 8″ travel bike with too soft a spring, crank in a ton of preload, but then the bike is harsh on small bumps, and still bottoms out easily. applied to ski bindings, think of the “travel” above as elasticity value, “spring rate” as the DIN range (i.e. 10din has softer spring than 18din binding), “bottom out” as pre-release, and the preload as the amount of turns into the DIN range one goes from the lowest value (i.e. 4min on the 10din, 8min on the 18din). if a skier has 9DIN, then they are applying 5x the preload on the 10din max binding, (from 4 min value), as the 18din max value binding (i.e. from 8 min value). To better understand this, draw a simple graph. X axis with 4 1″ marks, the y axis is force. Then draw a line at a 45 degree angle from the origin. this is the spring rate (k value/slope of the line). connect the 4 1″ marks on the x axis with your 45 deg line. Each of these areas under the spring rate line is the amount of kinetic energy required to achieve the displacement of the spring. Integrating force -> kinetic energy. Ke= 1/2 * -k * x^2. Sooo… By adding preload to a spring you must input significantly more KE to move the spring initially, but you are not changing the slope and not changing the spring rate. You are overcoming the stored energy within the spring and overcoming the spring rate at the same time, vs a spring with no preload. great review on the general characteristics between the tech and alpine bindings. marshal, you obviously feel that the typical dynafit type tech binding gives a clearly inferior skiing experience to the alpine binding. what are your thoughts on the kingpin concept? 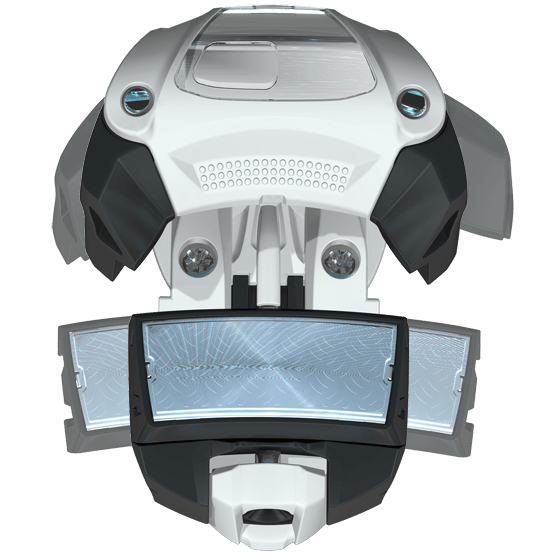 marker has stated that the kingpin is essentially equivalent to their alpine bindings. do you feel that the complex interaction between the pin toe piece and the alpine rear binding can mitigate the ride of a “fully rigid mt bike frame”? i know your opinion would be pure conjecture without skiing on them, but others have stated (with limited testing) that the kingpin rides similar to the beast. 1. is there both forward and downward pressure from the heel, like an alpine binding? Marshall- I graduated from UW-Madison in ’78. I was reading your bindings article and could use some help. I am 58, 6′ and weigh 208 (lost 50 lbs) in last 1.5 years. 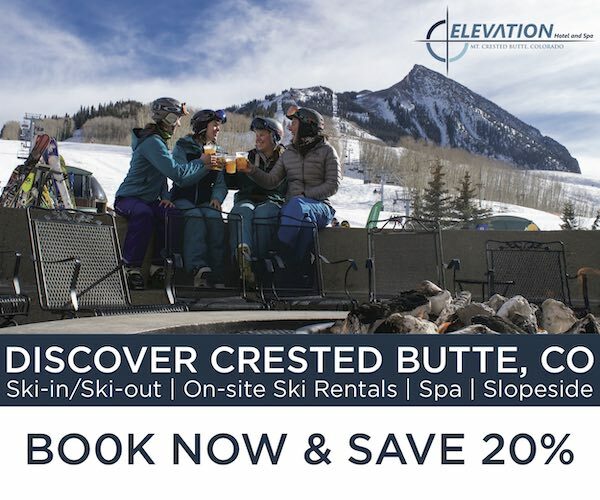 I ski 2-3 times a year in colorado for a few days. I am an intermediate skier , don’t like moguls and mostly ski blue and groomed black runs at aspen/snowmass. I have a new pair of salomon BBR 8.9 skis 176 cm. what bindings would you recommend for me? If elastic travel is such an important metric, I find it frustrating that it’s not listed with any of the tech specifications for bindings online. Even when you go to the manufacturers website.